Over the years, thousands of brides have found their perfect dress at Kleinfeld, and there are so many of factors that play into their ‘Say Yes to the Dress‘ moment. Over 200 professionals work in the salon, all striving towards the goal of helping brides-to-be feel their most beautiful for their wedding day. That wouldn’t be possible without the women that bring the bride the finished product, and the resulting bridal glow, who work in the on-site alterations department. You might not know it, but after the perfect dress is found, photographed, signed for and at the salon, members of the alterations team spend up to 30 hours on a single dress, ensuring a perfect fit, shimmering embroidery and providing a picturesque end result. Custom fitters, sewers, beaders, embroiders and pressers spend tons of personal time with the dress, individually inspecting every inch. Real Kleinfeld brides can thank these skilled artisans on their faultless craft, dedication to detail, and consistency. 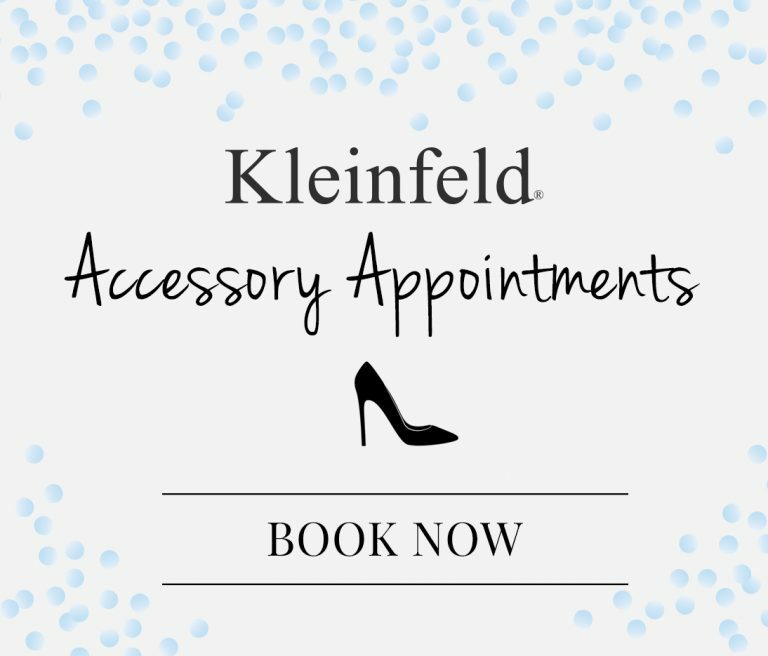 Lucky for them, this top-tier alterations team works exclusively on Kleinfeld dresses, giving the gown their full time and attention. Kleinfeld exclusive designers like Pnina Tornai, Mark Zunino, Christian Siriano, Dennis Basso and Tony Ward create wedding dresses that feature Swarovski embroidery, built-in corsets and unique patterns. 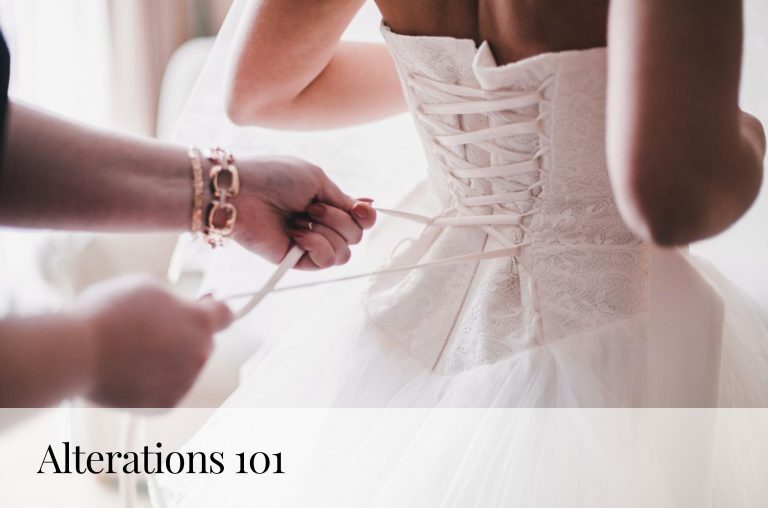 The in-house alterations team is fully equipped to accommodate any request from the bride or the designer. Having the designers in the salon all the time is certainly a bonus! Click here to check the trunk show schedule and see when your favorite designer will be in the salon. 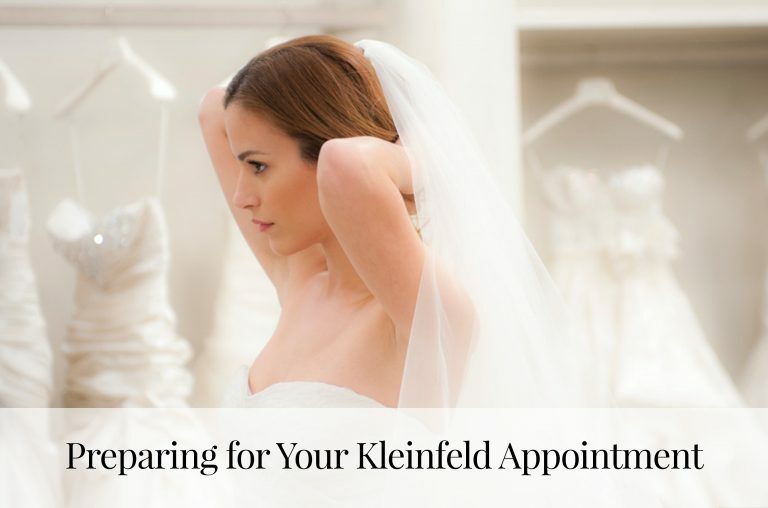 Ask us all your alterations questions @KleinfeldBridal on Facebook, Twitter, Instagram and Snapchat!